prachtig appartement en leuke omgeving. Prachtige wandelingen en fietstochten te doen in Serra d'Irta. 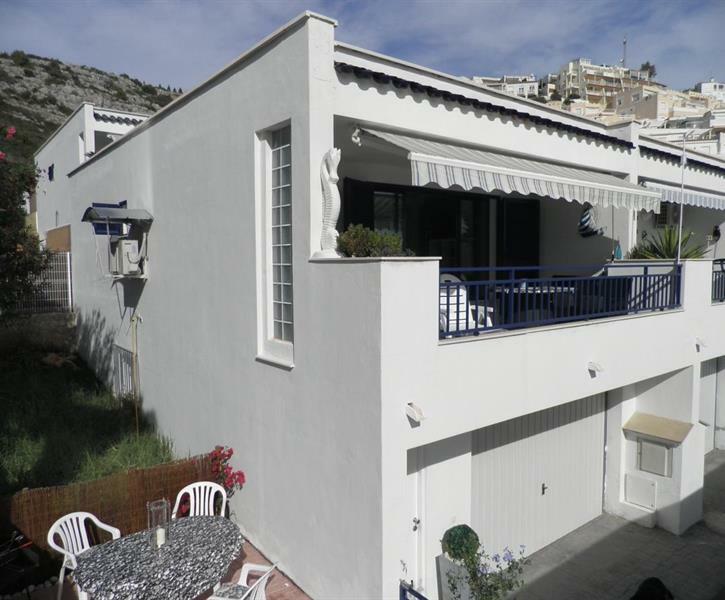 House with sea view, large south facing terrace, shared pool, air-con, Wi-Fi, garage, garden, 100m to sea, 600m to town/beach. TRIPADVISOR CERTIFICATE OF EXCELLENCE 2017 & 2018.
rust zon zee strand fietsen wandelen en Spaanse cultuur ! Wat wil een mens nog meer ???? Just returned from Las Marinas after 10 day stay. Apartment was spacious, clean & very comfortable - especially the huge bed. Contains everything you need for a lovely holiday. Lovely view from large balcony with loads of seating & loungers. Also outside grill & bbq which we used in the private garden. Picked limes from the tree to accompany drinks. The pool is lovely & we mostly had this to ourselves. Small gated complex, very secure. 10min walk to gorgeous beaches & town (minibus if needed). Old town within castle walls is great for exploring. Thank you for the welcome pack & the use of your lovely apartment. We spent just over a week at Tony & Bev's property in Peniscola this August. The villa itself is well sized with all and more of the amenities you would expect, the terrace is a great place for breakfast in the morning in the rising sun (As well as every other meal!) The location was good for us, not to near or far the centre of Peniscola (About a 15-20 minute stroll depending on your route). There are several nice coves nearby to go swimming in when you get bored of the on site pool. We loved the town itself, especially as it seems to be predominately Spanish holiday makers which makes you feel like you are experiencing the genuine Spanish culture. The site is a nice size and we had no problems with any of the neighbours during our stay as everyone was polite and respectful. Would definitely stay here again if we every happen to be in Peniscola again.